Veles is considered to be one of the greatest gods of the ancient world. Specifically thanks to him the terra firma created by Svarog and Rod was set in motion, whereafter the days and nights began to change each other, times of the year emerged as well as the other familiar to us features of the universe. It is because of Veles people have learned not only how to overcome hardships, but also appreciate the happiness and each other. No wonder that even today lots of our fellow men are interested in the articles about the god Veles. Our workshop team also loves different myths and legends. With the greatest pleasure we explore the stories of the ancient Norse and, of course, enthusiastically read the Slavic history of bygone years. It helps us in our work and gives us inspiration to create new jewelry. 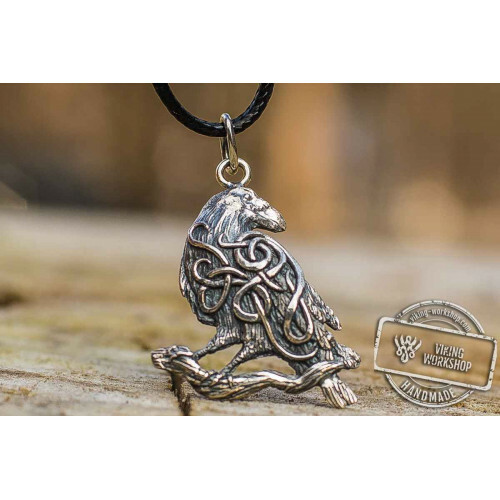 In particular, Veles Print Sterling Silver Pendant Pagan Amulet viking-workshop has been created after reading the numerous myths about one of the most famous gods among the Slavic people. 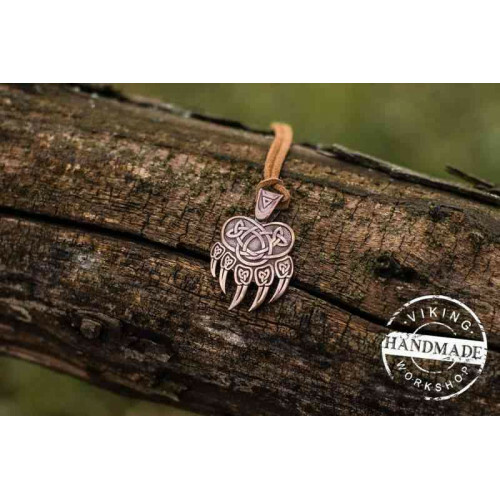 By the way, on our website you can also buy a more affordable version of this bronze pendant. 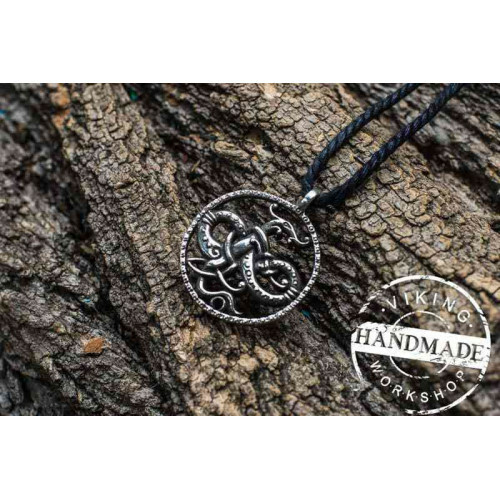 If you have decided to buy Veles Print Sterling Silver Pendant Pagan Amulet in our shop, you made the right decision! There is no other place where you could probably find an equally high-quality and one-of-the-kind handiwork at such low prices. Each piece of jewelry is made entirely by hand, and its appearance is designed by the best designers of our company. 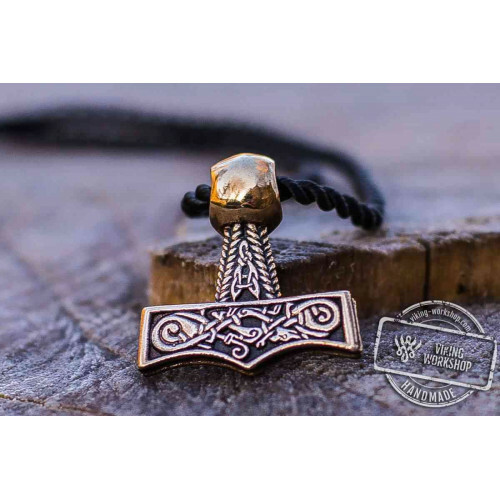 Thus, any pendant, whether it is Veles Print Sterling Silver Pendant Pagan Amulet or silver pendant with an exact copy of the actually existed Perun's Axe, is of impeccable quality and luxurious form!